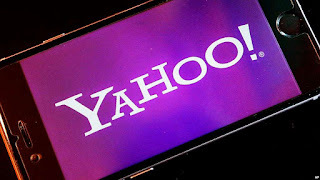 Finally, the Official Yahoo Messenger App will shut down next month July. This was a popular Messaging application back then for chatting and staying connected with loved ones. With the availability of Whatsapp, Facebook and even the Best now - Telegram, other old messaging systems have to adjust. Not long ago StumbleUpon shut down and now another popular messaging service is going down. Yahoo announced that Messenger will stop working after July 17, 2018. The application provides services like group conversations, Windows Live Messenger, and even file sharing. Yahoo is now thinking of moving it's users to another better messaging services still created by them. Squirrel is the new alternative to Yahoo App launched in 1998. Actually, "Squirrel" is in beta stages and Yahoo advice it's users to download their chats history before six months to avoid losing their important conversations. Yahoo has been facing serious data breaches so it might look like the right time for them to shut down. Yahoo Messenger App will shut down before the company releases Squirrel.